On September 24, 1988, at 4:30 p.m., the Jury of the European Architecture Award 'Mies van der Rohe', promoted by the E.E.C. 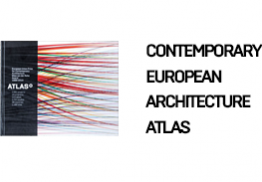 Cultural Commission, the European Parliament, the Council of Europe and the Barcelona City Council through the Mies van der Rohe Foundation, met at the Palau de la Virreina in Barcelona. The Jury, presided over by the British architect Kenneth Frampton, is composed of the architects Hans Hollein (Vienna), Vittorio Gregotti (Milan), François Burckhardt (Paris), Ricardo Bofill (Barcelona) and Ignasi de Solà-Morales (Barcelona), who acts as Secretary. The architect Alessandro Giulianelli also attends the meeting as the personal representative of the E.E.C. Cultural Commissioner, with no intervening powers. The Jury originally considered a selection of some 70 buildings made by the members of the Jury themselves at their previous meeting in Brussels and those presented by a Committee of Experts of the different countries of the E.E.C. 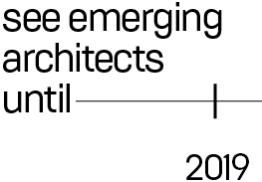 The final selection of the Award, in accordance with the rules and guidelines established by the Jury itself, will be selected from buildings finished during the last four years in an E.E.C. country by a European architect. 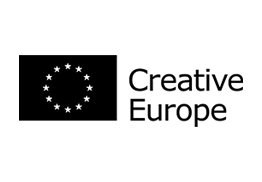 The Jury first thought of making a restricted selection of five candidates from which the Award would be chosen, but revised this proposal during the meeting. After an extensive debate, all the members agreed to make a wider selection more representative of the real diversity of trends of the best European architecture. 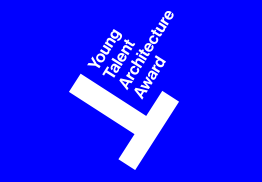 Since variety itself is characteristic of the European specificity, the Jury felt that such variety, reflected in a diversity of works, would best exemplify the criteria of innovation, urban sense, and historic consciousness of tradition. 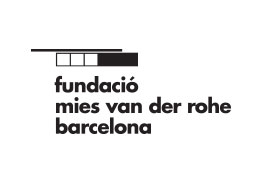 The proclamation of the winner of the first European Architecture Award 'Mies van der Rohe', will take place in Barcelona on December 8, 1988, at the Mies van der Rohe Barcelona Pavilion, with the assistance of the E.E.C. Cultural Commissioner, the Mayor of Barcelona, and other European authorities of the Institutions promoting the Award. 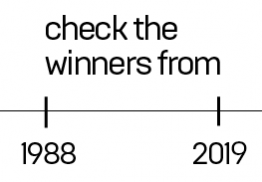 The Award will consist of a singular object referring to the Award and an amount in cash equal to 50.000 Ecus. After a second debate, the Jury proceeded to the election of the awarded building and architect. After a succession of votes the Jury agreed to grant the European Architecture Award, 'Mies van der Rohe' to the Borges & Irmão Bank in Vila do Conde (Portugal), constructed between 1982 and 1986 and to the architect Álvaro Siza Vieira, designer of the building. The Jury passed a resolution not to make this decision public until the E.E.C. Cultural Commissioner deems it appropriate.